SALT LAKE CITY March 23, 2016 – After two days of testimony, a jury found Lamont Boyd Squires guilty of four counts of Communications Fraud and one count of Pattern of Unlawful Activity, all 2nd Degree Felonies. The case was prosecuted by the Mortgage and Financial Fraud Unit of the Office of the Attorney General (OAG). Squires’ partner, Stephen Anderson, had previously plead guilty on August 25, 2015 for his role in the fraud. As proven at trial, the case stems from a loan between family members and a failed real estate development deal. During Squire’s trial, OAG attorneys proved that in 2008 he, with Anderson, solicited family members to join in a real estate development project. Family members agreed to allow Squires to use property they owned in Lehi as collateral on a hard money loan which, in turn, was to be collateral for a larger $15 million dollar loan to complete the real estate development project. Once the $15 million dollar loan was funded, Squires promised family members the hard money loan would be repaid, any related liens on family property would be removed, and family members would be paid $100,000 for the use of their property. Squires told family members that there was little risk. Ultimately, Squires failed to obtain the $15 million dollar loan needed to complete the project and defaulted on the hard money loan. The family members’ property was lost to foreclosure. In addition, some of the hard money loan was spent on expenses unrelated to the real estate development project or was otherwise spent in a manner inconsistent with what was promised. Sentencing for Squires is set for May 3, 2016, before Judge Howard in Utah’s Fourth District Court. Squires faces a possible sentence of 1 to 15 years in the Utah State Prison on each count for which he was convicted. Those sentences could be ordered to run consecutively or concurrently. 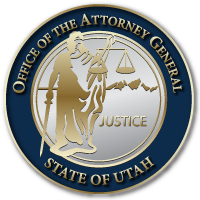 This case was investigated by Agent Steve Sperry of the Special Investigations Unit of the Utah Attorney General’s Investigations Division.